WWF International is reporting that Bolivia's Llanos de Moxos region has been named the World's Largest Wetland of International Importance. 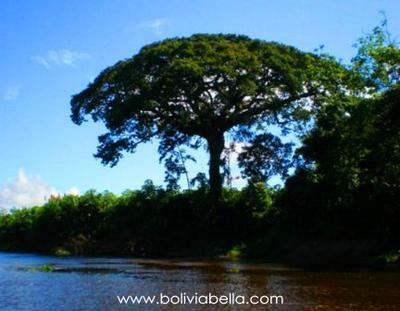 Covering 6.9 million hectares, this tropical region is located in Bolivia's northern state of Beni. Because of its geography (most of the state sits at about 155 meters above sea level), Beni was a very important center of pre-Colombian civilization known as the cultura hidráulica (hydraulic culture) of Las Lomas (the hills), a culture that constructed over 20,000 man-made artificial hills, all interconnected by thousands of square kilometers of aqueducts, channels, embankments, artificial lakes and lagoons, and terraces. River Dolphin Tour Trinidad Beni Bolivia Slideshow: BoliviaBella.com’s trip to Trinidad was created with TripAdvisor TripWow! Between about 4000 BC (and probably earlier as this date is taken from ceramics that have been carbon dated) and the 13th Century AD this region was settled by important and organized groups of human societies, possibly numbering up to 8 million. Their civil structures were based, both environmentally and economically, on the use of specific environmental characteristics (such as the use of aquatic plants as fertilizer, and enormous fishing systems they constructed). You can still see miles and miles of these channels and man-made hills if you fly low over Beni. Beni is criss-crossed by dozens of rivers, all of which are tributaries of the Amazon. Read about the Moxos culture of Bolivia, the Bolivian state of Beni and its capital city Trinidad. Then visit the WWF International website to see why the Llanos de Moxos have been designated as a new Ramsar site and named the World's Largest Wetlands of International Importance. WWF announced this today, February 2, 2013 - in celebration of World Wetlands Day.